the links below are mostly about orphanages, animal protection, and "IN-DANGER" teens. 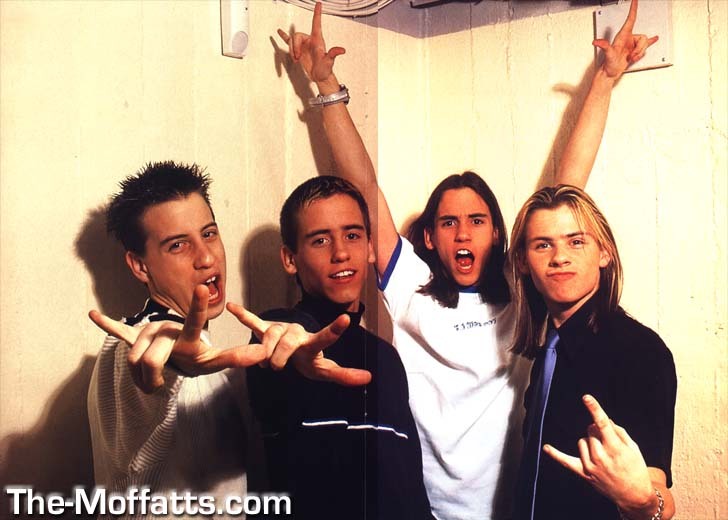 This is a picture of my favorite band, THE MOFFATTS. Their not only a band, their brothers,and their not only brothers, their friends!!!!!!!!!!!!!! National Runaway Switchboard Provides a hot line for teens & kids who have runaway or are thinking of running away. STAR UNIVERSE To bring attentionto cruelty to Animals!!! Youth Entertainment Studios makes music videos, commercial, and web sites with "IN DANGER" teens. Orphanages: POST-IT-PAGE let's you post messages for info on orphanages. ANIMAL RESCUE FOUNDATION of Dana Point, Inc. rescued animals up for adoption. IMMA marine awarness and protection.